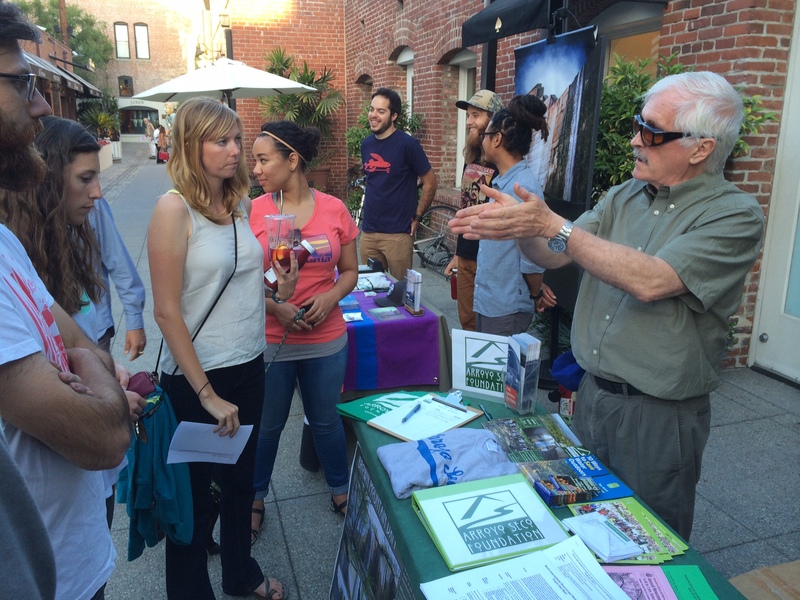 Patagonia and ASF Host "DamNation"
ASF joined with Patagonia Pasadena on June 5, 2014 to host an outdoor screening of the brilliant documentary "DamNation" at One Colorado in Pasadena. 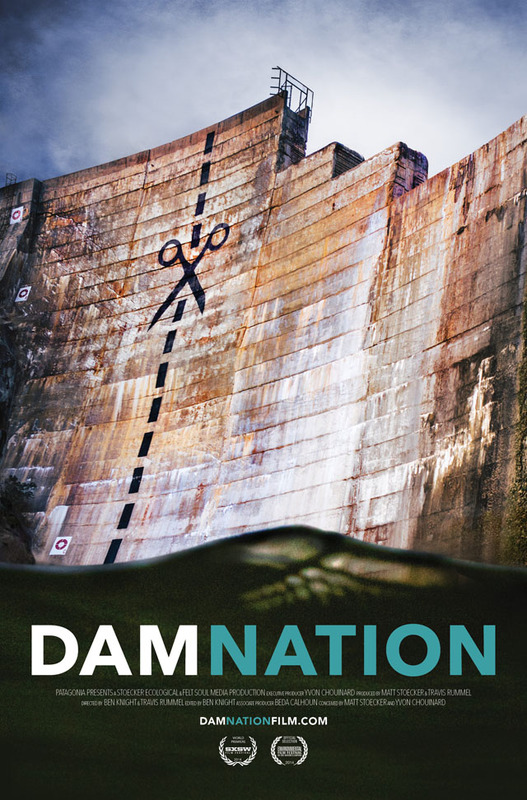 The hard-hitting video tells the story of the plethora of dams that have been built across the US in the last century and of campaigns to remove the most destructive ones. The video was co-produced by Matt Stoecker, who surveyed the Arroyo Seco years ago exploring fish passage issues. 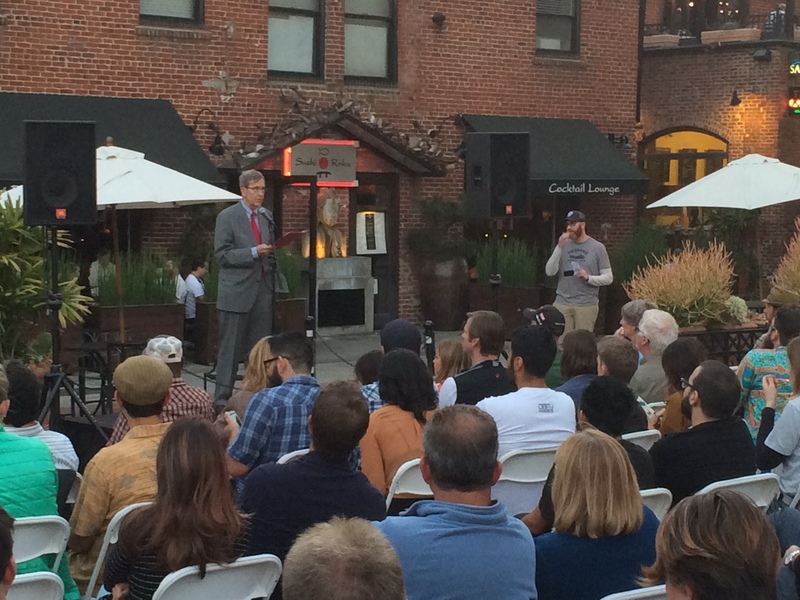 Pasadena Mayor Bill Bogaard gave a stirring speech introducing the documentary, and ASF's Tim Brick focussed attention on our least favorite dam, Brown Canyon Dam, which blocks the Arroyo Seco stream 3.2 miles into the Angeles National Forest. Tim Brick at the Arroyo Seco table at the "DamNation" event at One Colorado. 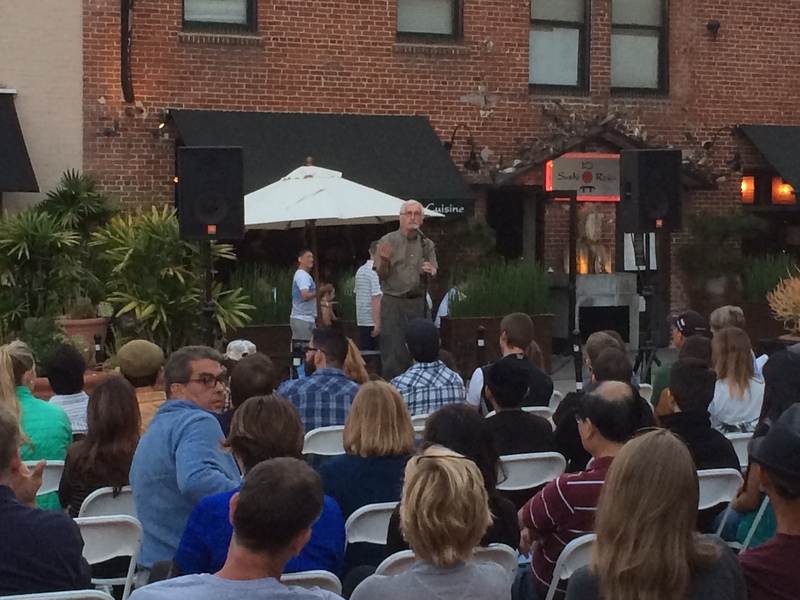 Pasadena Mayor Bill Bogaard spoke about local efforts to protect streams and the environment. Destructive dams aren't just in distance places, according to Brick, who told about Brown Canyon Dam in the Arroyo. 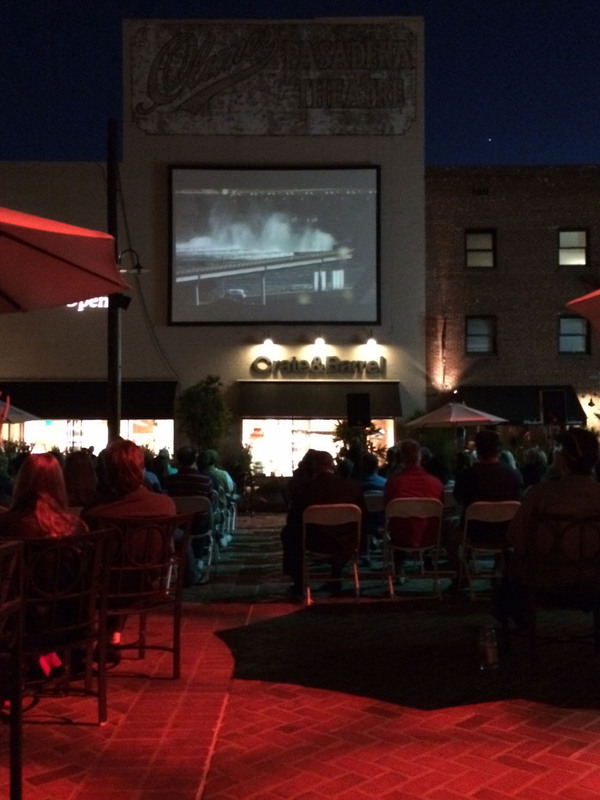 It was a perfect summer evening for the outdoor screening of DamNation at One Colorado.